Although I haven’t finished Yesterday’s Promise, what I’ve read so far has captured my imagination. In fact, I was hooked from page one! I’ve never read a book that was able to draw me to its heroine so early on before, from the very first page, and yet, Yesterday’s Promise does just that! I don’t know about you, but I’m tired of fairy tale novels. I want characters that I can relate to. Real characters living real lives. Characters like Hanna Johns, a single mom struggling to make ends meet, following Jesus the best she can. If you have a Hanna in your life, tell them about Yesterday’s Promise. Better yet, buy them a copy as a way to encourage them to keep on keeping on. Me: Hannah Johns, the heroine of Yesterday’s Promise, was likely every mother’s dream. 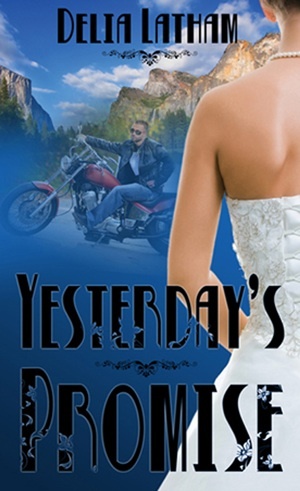 She was involved in ministry, others-focused and overall, had her head on her shoulders…until, she throws caution to the wind and does the unthinkable and marries a total stranger—clad in biker gear no less—less than a week after they met. What do you think it was about Brock that drew her to him? Delia: Well, I’m sure she couldn’t help but notice that he was gorgeous! Brock Ellis is the typical tall, dark and handsome hero, with steel-blue eyes, broad shoulders, narrow hips—and a killer smile! J But Hannah was first drawn to him because, despite the biker-boy façade, Brock was kind-hearted—a perfectly gentle gentleman. Plus…let’s face it, she was an innocent. Her entire life, prior to the story, had been wrapped up in numerous ministries and activities within the church. She lived to please others. She was an innocent, and Brock was charming, gorgeous, and made no secret of his attraction to her. It had to be a heady experience to have someone—especially someone like Brock—totally focused on her, for a change. Me: When you were a teen, were you more like the choir singing Hannah or the chase after the biker Hannah? Delia: Well, to be fair, Hannah didn’t “chase after” the biker. She simply found herself in the role of “damsel in distress” opposite his “he-man to the rescue.” What followed was what makes Yesterday’s Promise a good read. Me: As a single mom, what were Hannah’s greatest struggles? Delia: Like any single mom, making a living was one of her top concerns. She adored her son and wanted the best for him, and yet…while she was grateful for her job, singing in a dinner lounge was not where she wanted to be five years down the road. She had big goals and dreams, and trying to achieve them while keeping food in little Davey’s mouth was another of her struggles. Me: What aspect of Hannah’s personality do you think your readers will most relate to or connect with? Mothers will, without a doubt, understand her determination to do whatever is necessary to take care of her son. And I think any Christian female will relate to Hannah’s love for God and her desire to follow His leading. They should also completely “get” her confusion: Is what’s happening between her and Brock God’s leading…or her heart’s? Me: What is Hannah’s greatest weakness? Delia: While Hannah’s faith in God never wavers, her confidence in herself has taken a beating. She has a tendency to pull her sins—real and imagined—out of the blood of Christ and beat herself up for them again and again. Me: What do you most admire about Hannah? Delia: Despite her self-doubts and recriminations, Hannah ultimately rests in God’s promises. She’s human, so yes, she sometimes questions circumstances. But at the end of the day, Hannah Johns knows in her heart of hearts that her heavenly Father has her life completely in control, and that He cannot and will not fail. I think I borrowed that aspect of her personality from my grandmother, who more than anyone else I’ve ever known, loved God from the inside out. He was the Lover of her soul, and she adored Him. Hannah has that same quiet spiritual confidence and devotion. I admire it immensely. Find out more about Delia, Yesterday’s Promise and follow her blog tour at: http://www.delialatham.net/blogtour.htm. This entry was posted in God's Authors and tagged Delia Latham, faith, single mom, Yesterday's Promise. Bookmark the permalink. Jennifer, thank you…THANK YOU for allowing me to stop in at your blog! I’ve enjoyed getting to know you a little during the process, and I look forward to visiting with your readers. Readers, I hope you enjoy reading about Yesterday’s Promise, and I eagerly anticipate your questions and comments. I pray our visit blesses each of you! Oh … I’ll be giving away TWO (2) gift certificates to White Rose Publishing at the end of the tour. Winners will be drawn from all the commenters at all the blog stops during my tour. Feel free to follow me from blog to blog – each comment garners you another entry! 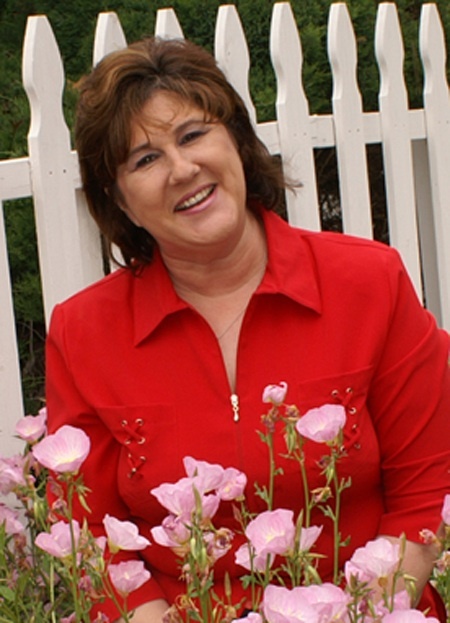 You’l find my tour schedule here: http://www.delialatham.net/blogtour.htm. I have a good friend who is a single mom to two rambunctious boys. I’m going to recommend this book to her! I’d like to ask a small favor of anyone who does read the book. If you like it, won’t you hop over to Amazon.com an post a little review on the Yesterday’s Promise sell page? I’m trying hard to reach 20 reviews on there. Apparently that’s some kind of “magic” number on Amazon… lol Thanks so much for stopping by, and thanks for helping with the review goal!